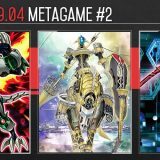 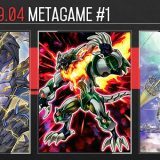 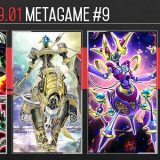 Welcome to Week #4 of the OCG 2017.04 format. 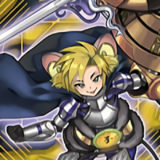 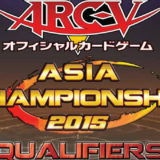 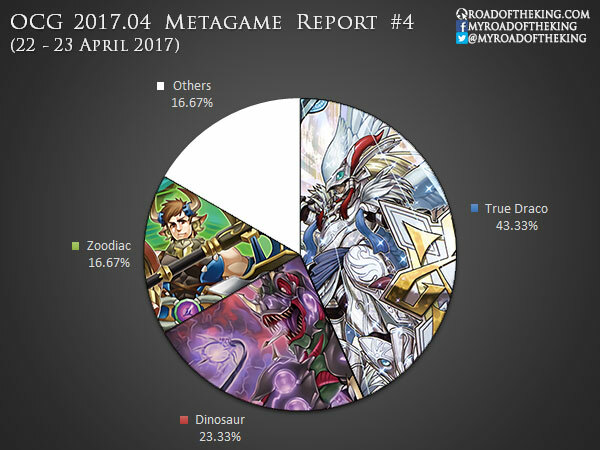 This report will cover 30 top-performing decks from 5 tournaments that were held in Japan during 22 – 23 April 2017. 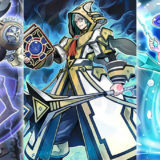 Invoked True Draco has come out ahead of Demise True Draco this week. 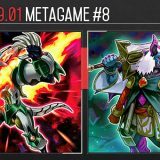 Card of Demise provides True Draco with significant card advantage, but with Harpie’s Feature Duster and Evilswarm Exciton Knight in the format, backrow are not quite a reliable way to control the game. 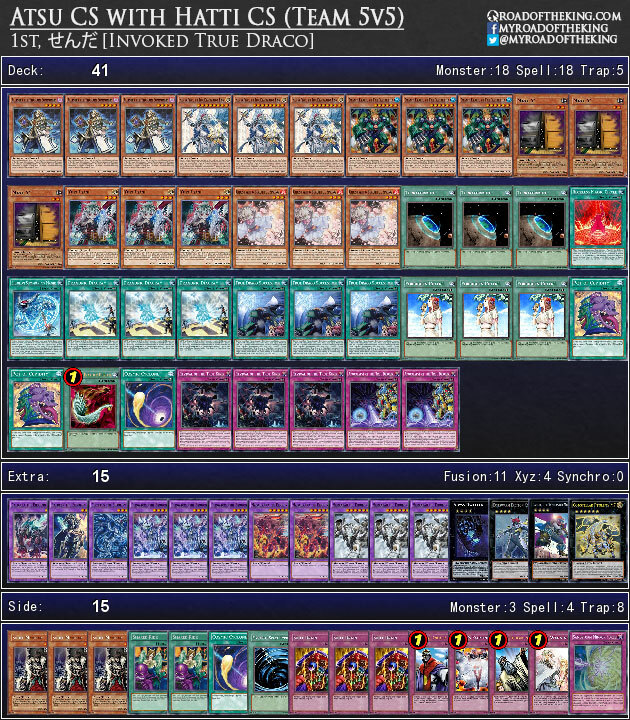 Card of Demise also comes with the drawback of being unable to run powerful “Hand Traps” such as Ghost Ogre & Snow Rabbit, Ash Blossom & Joyous Spring and Skull Meister. 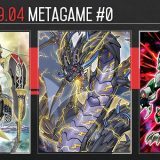 Invoked provides an additional layer of control through Invoked Mechaba, and the option to banish Miscellaneousaurus from the opponent’s graveyard by using Invocation to Fusion Summon Invoked Purgatrio. 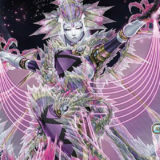 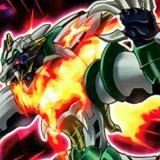 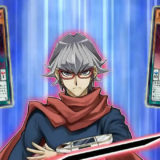 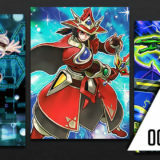 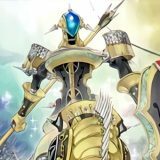 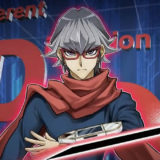 Code of the Duelist has a relatively quiet initial impact on the competitive scene, especially when compared with the previous 2 booster sets – Raging Tempest and Maximum Crisis. 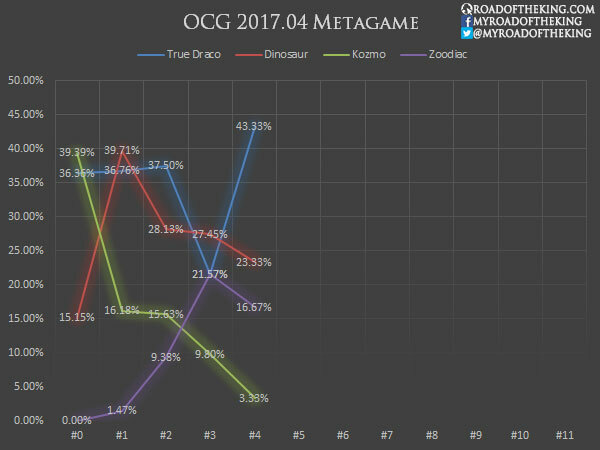 True Draco and True King Dinosaur are still the current top contenders.